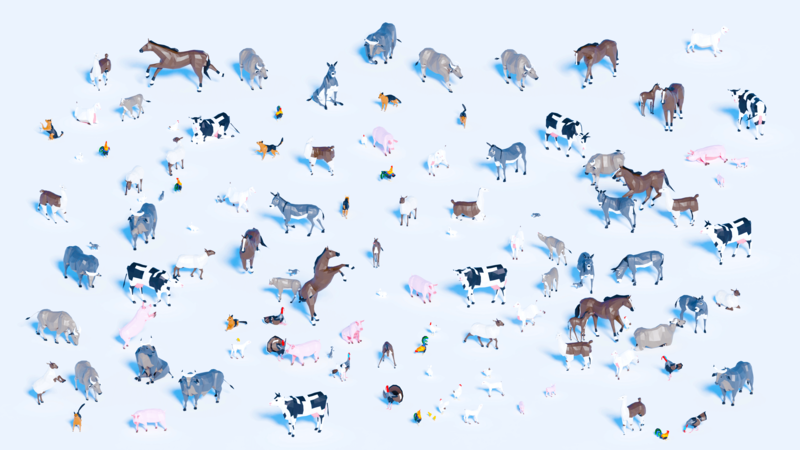 We designed our own collection of animals in lowpoly style, with a base mesh ans UV maps. All our animals are unwrapped, even posed ones. What's IncludedI want them all! All our animals were unwrapped in a very clean layout, where we minimized stretches and took care of scales for better texturing.